Join Anthony Diaz as he talked about the many forms of social media and how you can get out there. WHile some companies solely rely on Facebook anthony share many ways to get out there including something as simple as name tags. Join Anthony Diaz from Rosa's Chante Assisted Living and Dr Tyler Woods as they explore having a sense of humor in care giving. It is important to look at a clutter free environment when dealing with memory issues. Clutter can create havoc in the residents home. Though Dr. Woods and Anthony joke about OCD, they really tackle the issues of clutter. Anthony Diaz talks about how important it is to visit people when they are in assisted living. It makes all the difference. Care giving and humor is vital when working in an assisted living home. You have got to have some sort of sense of humor to make this work more joyful. Listen as Anthony Diaz talks to Dr. Tyler Woods about humor. See the video here. 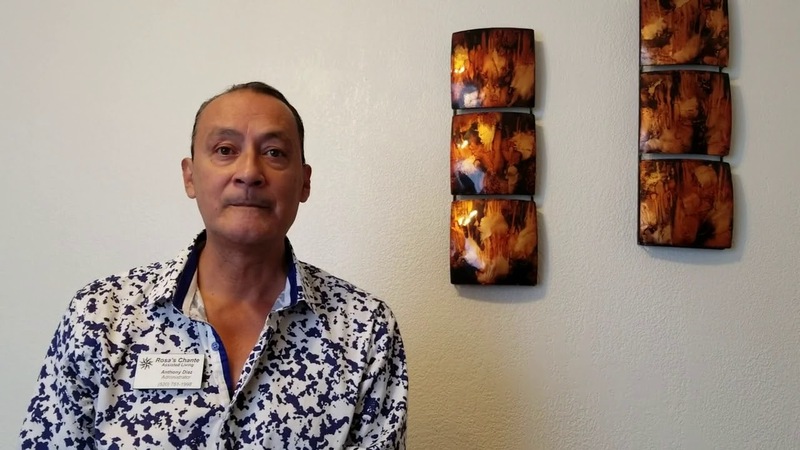 Join Anthony Diaz Anthony Diaz talks about mental health and seniors and how to cope with mental health issues and concerns. View here. 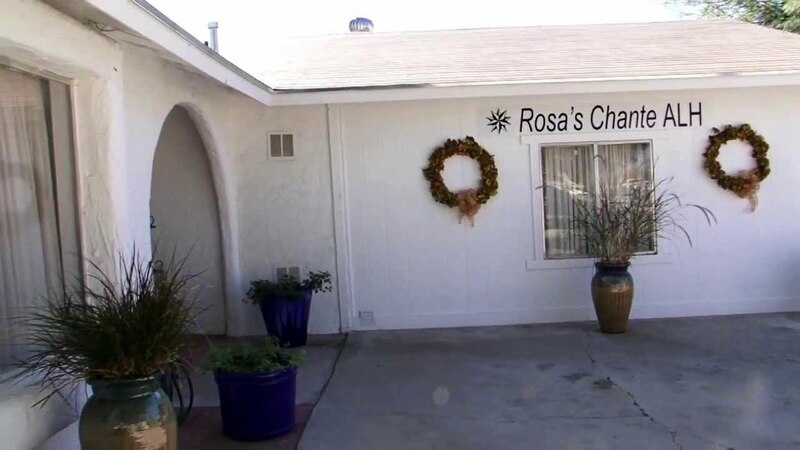 Here is a short video to learn more about Rosa's Chante Assisted Living Home. Rosa's Chante Assisted Living Home provides supportive living services to people who can no longer live alone. Their goal is to maintain a home atmosphere where their residents and their families can depend on them to support them safely and lovingly. They strive to maintain a pleasant, stress free environment where residents' families & friends can feel at home. Rosa's Chante Assisted Living is conveniently located in an established, desirable residential community in East Tucson. This comfortable home is located near St. Joseph's Hospital, Tucson Medical Center, Veteran's Administration Clinics, and Banner Campus. Friends and families are always welcome at Rosa's Chance. Residents that are able can accompany friends and family to shopping at nearby Park Place Mall or to local restaurants. When the the time comes that your elder loved one, friend or family, can no longer live alone, regardless of their specific needs, you can count on Rosa's Chante to provide the services you need. 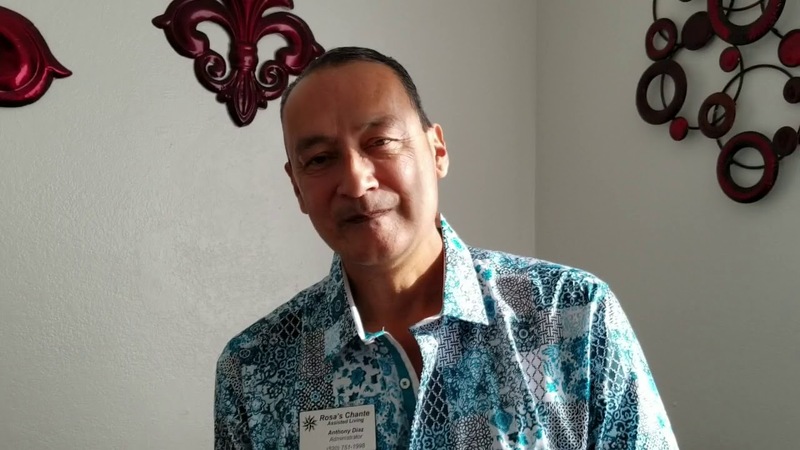 Led by Anthony Diaz, known for his Professionalism, Caring and Compassion for over 25 years, you can be assured that your loved one will receive only the finest and most comprehensive services available in any assisted living home in Tucson and Southern AZ. You may contact Anthony Diaz directly at 520-360-4450. Copyright ©2019 Rosa's Chante. All Rights Reserved.